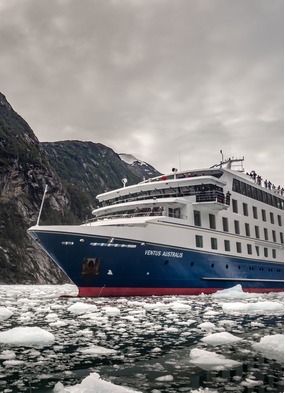 I love my job, but commuting into London can sometimes be frustrating, so when I was asked if I would like to explore the remote southern tip of Patagonia on the expedition ship Ventus Australis it took all of a nanosecond to say "Yes I would love to!" Arriving into Santiago, Chile, I spent a day at the Santa Rita Vineyard, then on to Punta Arenas. Ventus Australis is a very comfortable ship, with everything you need for your journey. 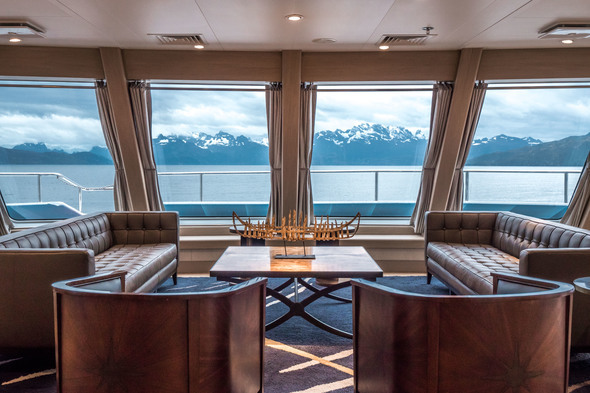 The fantastic floor-to-ceiling windows are perfect for observing your surroundings, and this was definitely my go-to place when I wasn't ashore exploring. I would sit with my binoculars watching the variety of birds and spotting dolphins, humpbacks and sea lions, not forgetting the incredible scenery. 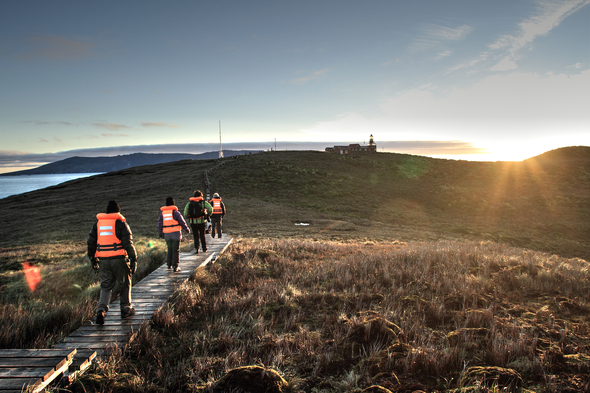 At each evening briefing, the expedition leaders would explain in full the activities for the following day. My advice would be to take the moderate excursions, as you learn so much more about the area from your expedition guide, who will explain all about the history of the indigenous people and the vegetation and wildlife in the timeframe that you have. Each landing is by zodiac, with two guides helping you in and out all the time. 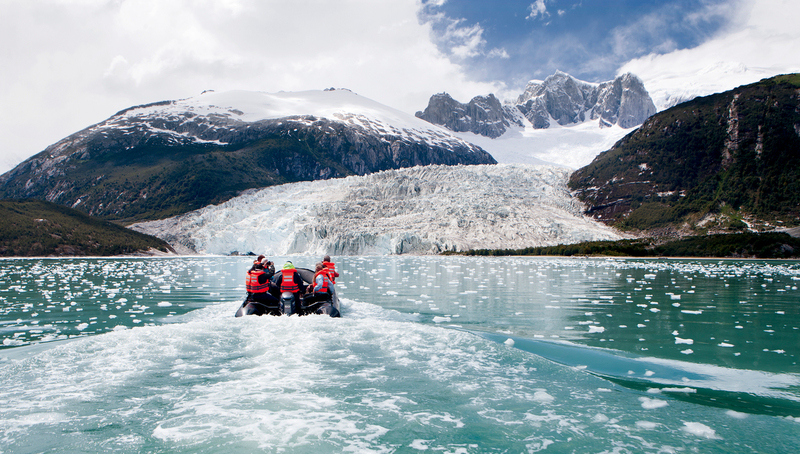 I loved the way the zodiacs crunched through the floating ice which had broken away from the glacier, and the air was so fresh and pure. 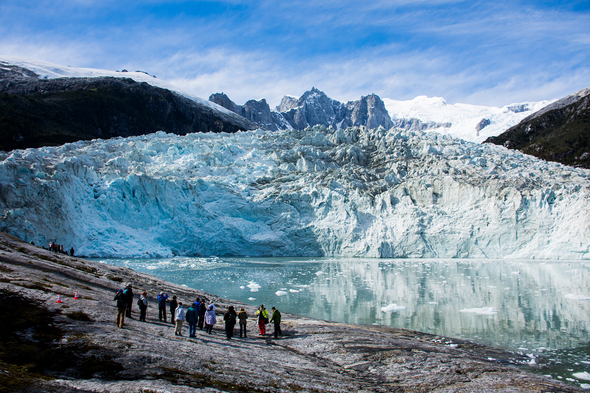 Standing at Pia Glacier and hearing the huge chunks ice falling into the sea with a crash, when everything is so quiet around you, is incredible, as is the spectacular backdrop of the Darwin mountains. 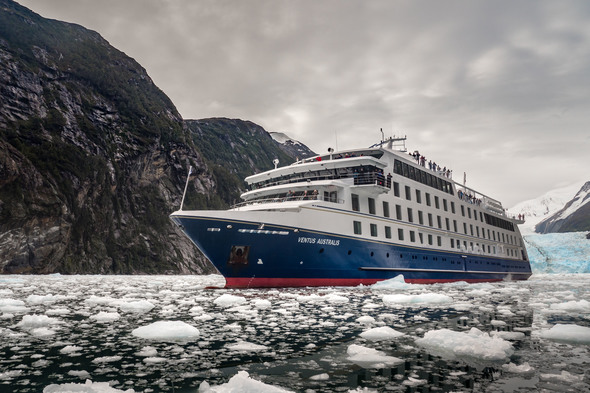 We sailed the most amazing stretch of the Beagle Channel through Glacier Alley very slowly, with the crew making sure our drinks and snacks tied in with the name of each glacier we passed (France, Germany, Spain, Holland and Italy). 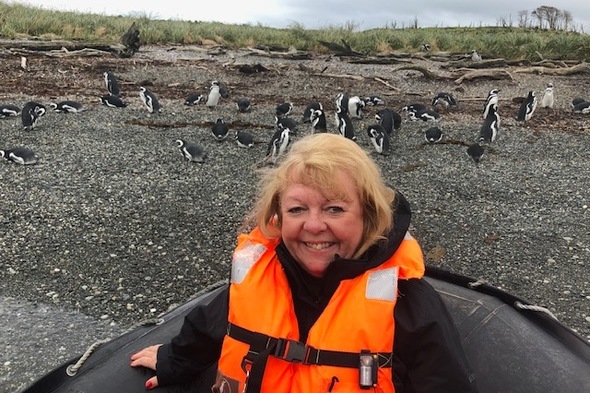 We visited Tucker Islets, where the Magellan penguins nest and nurture their chicks. 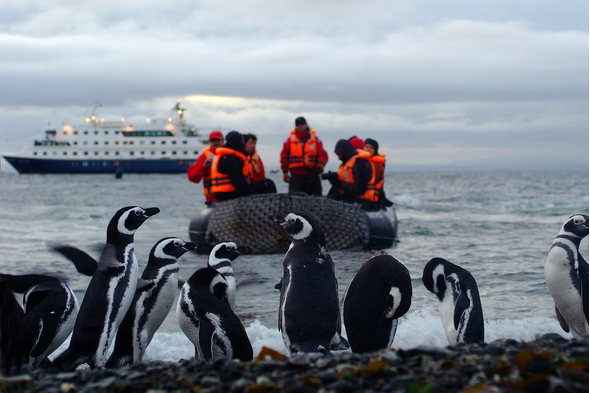 It was a great moment, and luckily the penguins were still there; a week later they would most likely have all gone to sea. We were feeling very positive about landing on Cape Horn as the weather and sea conditions had been very kind to us, but of course we still had the challenge of the turbulent waters of the Drake Passage, and sure enough that evening I could feel the change in movement. The ship arrived at the Cape very early in the morning. We all awaited the announcement to see if our landing would be possible or not; the weather was dark and moody with light rain. Still feeling positive, I grabbed a coffee and waited ready with my life jacket, and sure enough, the zodiacs were lowered into the water. Once ashore, I started the climb determined to get to the top and have my picture taken by the monument, but I was conscious that if we heard the ship's horn we had to start our descent back to the zodiacs. We all managed to see the lighthouse, and meet the family living there. The view was incredible as we could see the archipelago of islands around us, but look south and - nothing. Back on board our Captain announced he was going to circumnavigate Cape Horn. What a treat, standing up on deck in the rain and wind, realising just how lucky I have been to visit this amazing place at the end of the earth.